Summer's magic is starting to be felt! We sat and enjoyed a campfire this past week and today the humid air reminds us that summer is fast approaching. This painting is of a summer bouquet from last year. 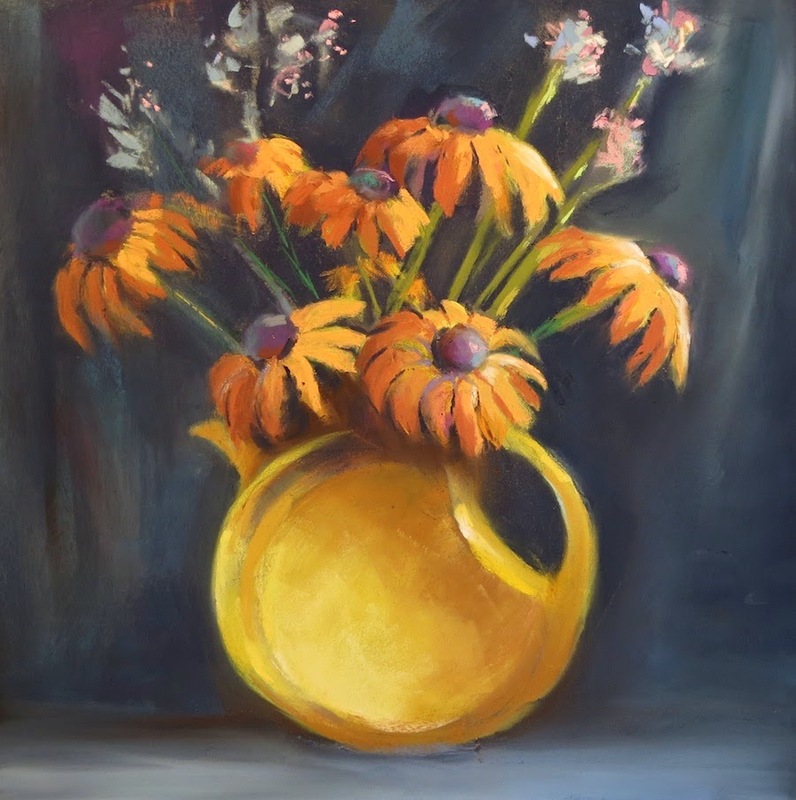 I bought the pitcher to use for a painting and this was the result... finished the other day. Sometimes an art inspiration takes a while to present itself. Inspired to take a class this summer? An exploration of drawing as an art form for the novice or for those with some experience. Like learning scales in music this class will cover the building blocks for great drawing. Those with some experience will improve their skills in creating the illusion of depth including perspective and rendering of light and shadow. Without stress or pressure each student will learn to draw what they see and have fun doing it! If you have always wanted to learn to draw and paint, but are a bit afraid to try... this is the class for you! 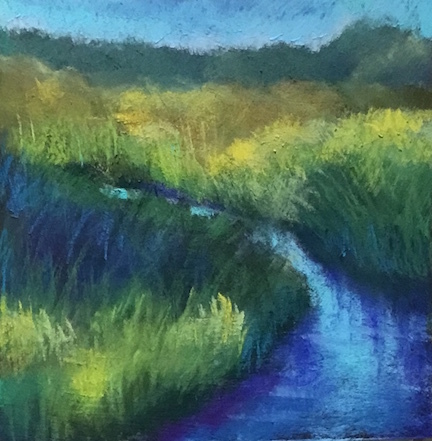 In this stress free, fun class, participants will experience a nurturing community atmosphere that will ignite artistic and personal growth whether you are a first time explorer or have had some experience. 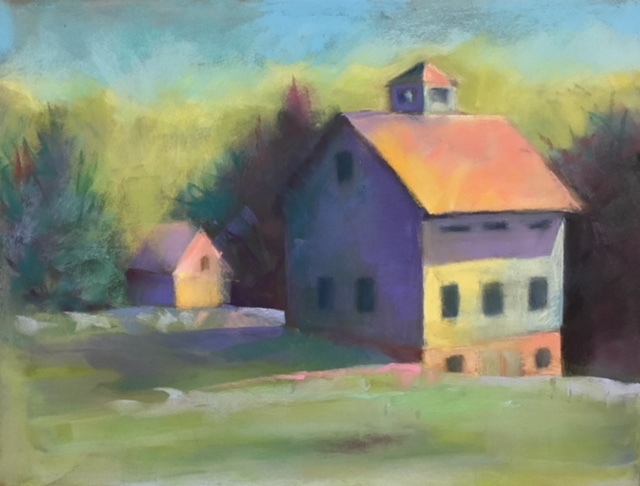 Students in this class will develop basic drawing and painting techniques while discovering their own style. 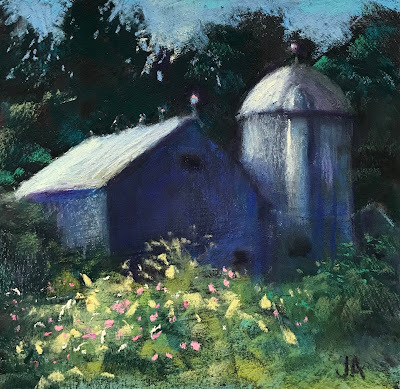 Using guided, personalized instruction students will improve their drawing skills and learn how to choose colors and tones that create harmony in their work and enhance their ability to compose their pastel paintings effectively. E-mail me to register and for a recommended materials list. your email link isn't working.. :) ever thought of doing an online class?.. Fixed the link... thanks! I'm thinking about doing an online class!